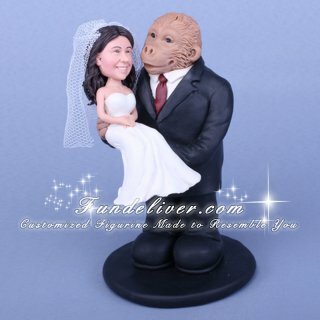 This is a completely customized King Kong (Gorilla) wedding cake topper ordered by one of our customers. 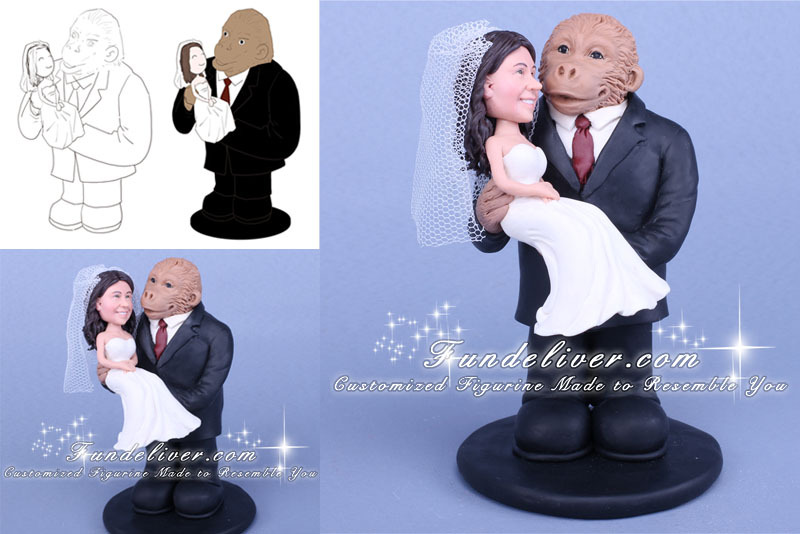 They would like a King Kong theme wedding cake topper of just 2 characters with no background which is a Gorilla (King Kong) in a black tuxedo carrying a Brunette bride. One interesting part is in original King Kong movie, the gorilla’s fur is jet black, however our bride want to change his fur to brown color just because it makes the figurine look gentle. What do you think about these King Kong cake toppers, love them?